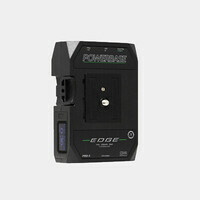 The Switronix Powerbase-70 Battery Pack for Blackmagic Cinema Camera is a 70Wh 14.8V lithium-ion battery pack. 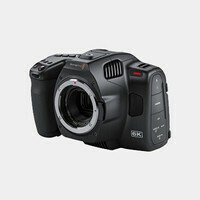 The PB70 will greatly extend the runtime of a Blackmagic Cinema Camera when compared to the camera's built-in battery. 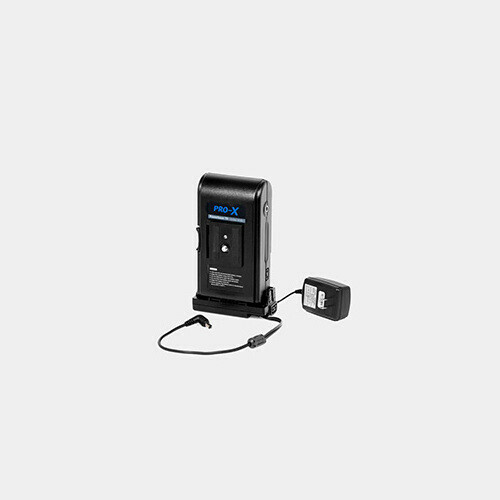 It features a 12" DC cable extending from it for convenient connection to the camera and it mounts onto the camera by attaching to its underside, thus doubling as a grip. 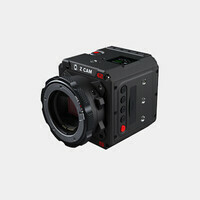 It can alternatively be attached to a support rig by a 1/4"-20 release plate or by V-mount. 1/4"-20 mounting points are also found on the sides for additional accessories to be attached.